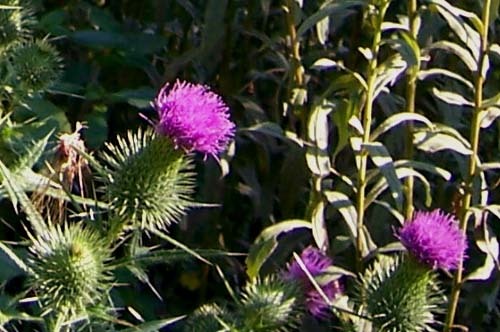 I am partial to thistles. This was part of a very large clump on the side of the road to Seven Devils. ~ by Sandra Lynn Gray on October 2, 2007.